As students head back to class at Camden-Rockport, they’re looking forward to getting back to their friends and learning experiences. But today’s sixth-graders have something else to look forward to – when they hop on the bus or start walking to school in two years’ time, they’ll have an entirely new destination! 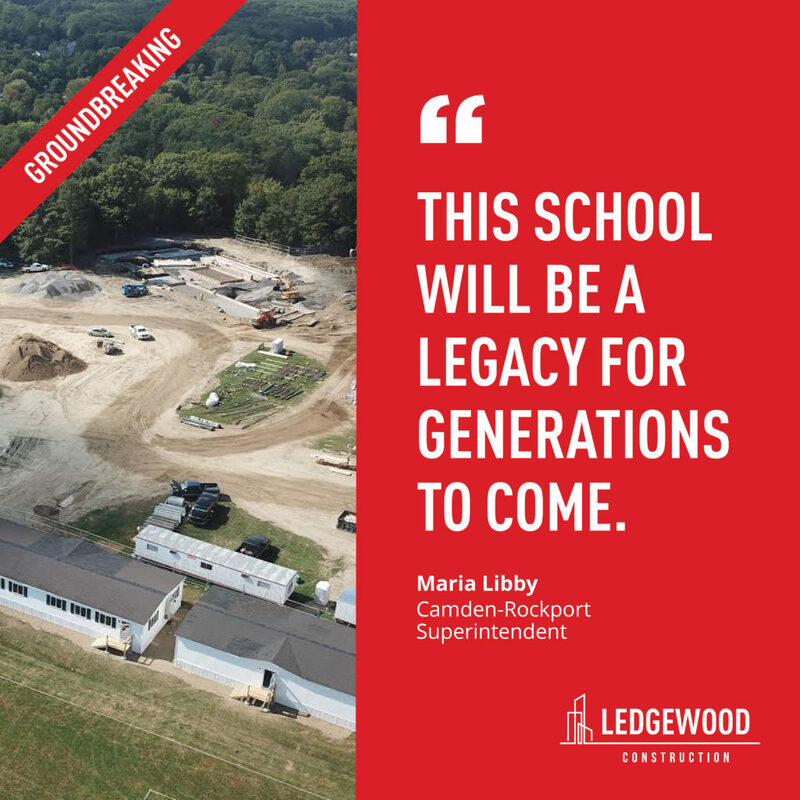 After years of work, led by SAD 28 Superintendent Maria Libby, the groundbreaking for the new Camden-Rockport Middle School took place in front of a crowd of students and faculty, behind the current school. Facing financial challenges, the community came together to support and fund the $32 million project. It took some convincing – but it also allowed the teams at Oak Point and Ledgewood Construction to shine, as the demands for value-management were high to bring bids within reasonable cost. That’s not easy to do for a state-of-the-art, 84,000-square-foot building, but enough progress was made to bring the cost to a tolerable point. The new school will incorporate designs and materials that evoke the surrounding architecture, from natural stone and clapboards, to hints of farmhouse design from Oak Point Associates. It is expected to go beyond just being where children go for schooling, and to be an integral part of our evolving community. 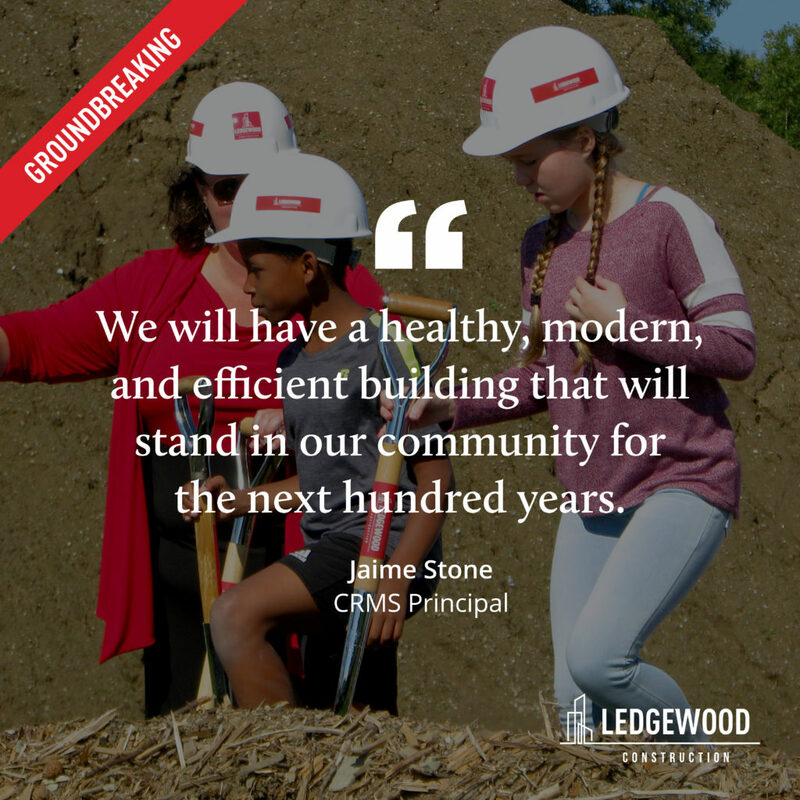 Current CRMS Principal Jaime Stone said in her remarks at the groundbreaking ceremony, “Once complete and standing tall behind me, our school building will be another representation of the investment we are making in our children in Camden and Rockport.” Our team at Ledgewood wants to make sure that the investment is sound and secure, and will last into the days of our children, our grandchildren, and future generations. 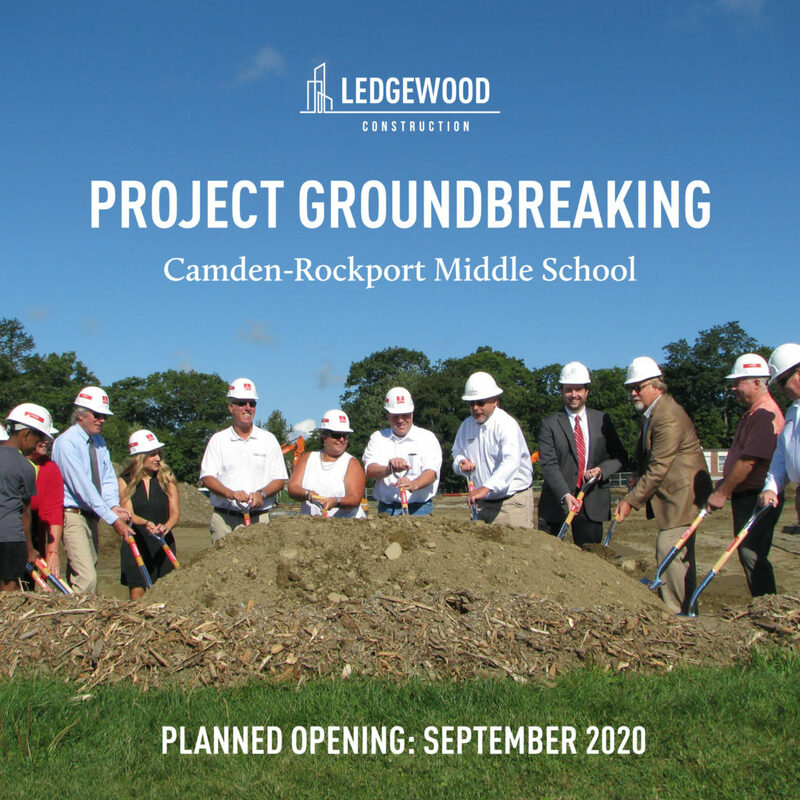 The new Camden-Rockport Middle School is expected to open for the beginning of the 2020-2021 school year.